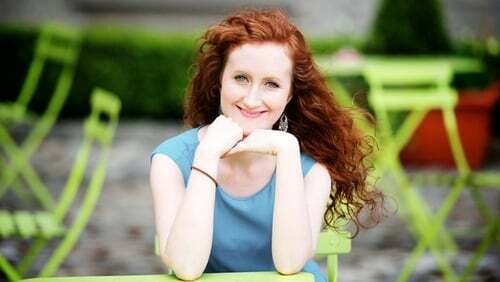 Roisín O'Donnell is one of the contributors to Female Lines. A short story writer, currently based in Dublin, her family roots are in Derry. She grew up in Sheffield. Eileen Dunne has been dipping in and out of Female Lines: New Writing by Women from Northern Ireland, continuing a strand first explored in The Female Line: Northern Irish Women Writers, which was published in 1985. I have to say I felt like a bit of a fraud picking up the book - (a) it’s not the type of book I would normally go for and (b) I was coming at it from a Southern perspective. Yet I found it both entertaining and enlightening, if a little frustrating at times. The Waking the Feminists movement and other developments seem to have energised these women, and many more women working in different fields in the arts on this island. Other poems that appealed to me were Sinéad Morrissey’s Whitelessness, Celia de Fréine’s bi-lingual, nay multi-lingual poems, notably Tune/Port and Colette Bryce’s My Criterion. Leontia Flynn’s evocative The Radio brings us right into the heart of the so-called Troubles and their effect on a mother worrying about her brood. Indeed, the Troubles and their aftermath loom large in many of the pieces. Julieann Campbell’s essay, Rewriting History, describes her work on Derry’s Unheard Voices programme, where 28 women from diverse backgrounds shared their stories, some buried so deep they hadn’t even been shared with family members. A recurring theme is the lack of support or aftercare offered to bereaved and traumatised families. Playwright Anne Devlin writes an accompanying piece to the opening of her radio play, The Forgotten whose text is included here. A move home to Belfast and the death of her father prompted, she writes, a more poetical play than she would normally have written. As for the short stories, I loved Locksmiths by Wendy Erskine, set in Belfast, once again, during the Troubles. A woman comes to terms with her lot and embraces DIY. ‘Home improvement, is, by its nature, optimistic, she writes. Linda Anderson’s Waste has an unusual twist. In fact I got totally sucked in by that story and then found the shift to the next one somewhat difficult. If I have one quibble it’s with the publishers and it concerns images from a photo- documentary series about women who journey across the Irish Sea for abortions. Unfortunately the images suffer from a lack of photographic paper, or colour, or both. A fascinating collection, I recommend it.